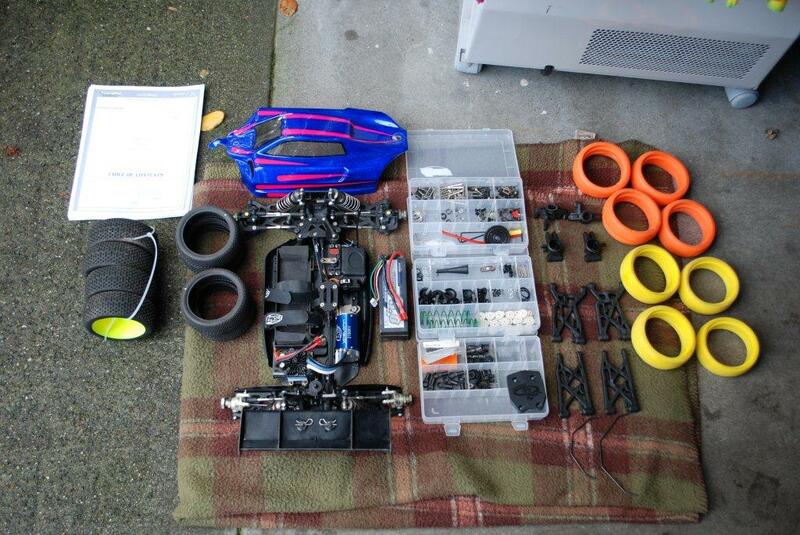 Losi 8ightE 2.0 package ARTR. Install your RX and you are ready to roll! This car was purchased used in July and then completely gone through. 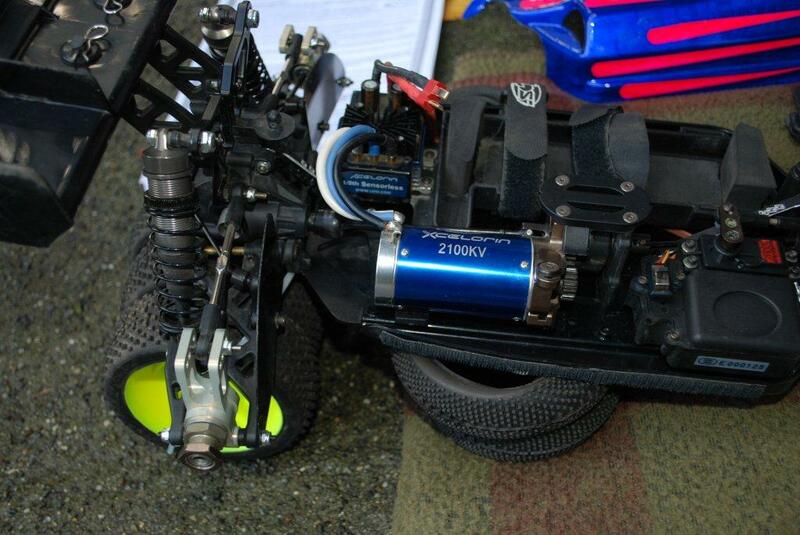 All new hardware, Shock Rebuild, Full bearing replacement, and every plastic part other than rod ends replaced including arms. 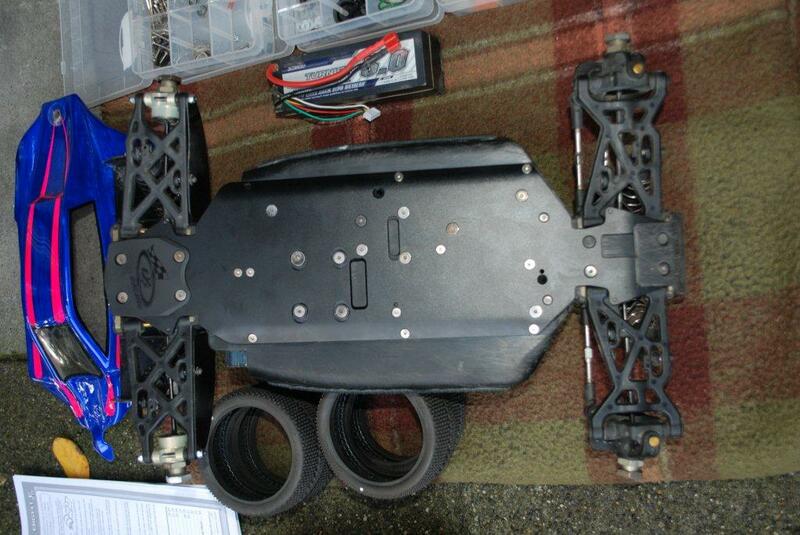 New chassis was just installed this weekend along with Aluminum rear hubs as you will see in pictures. 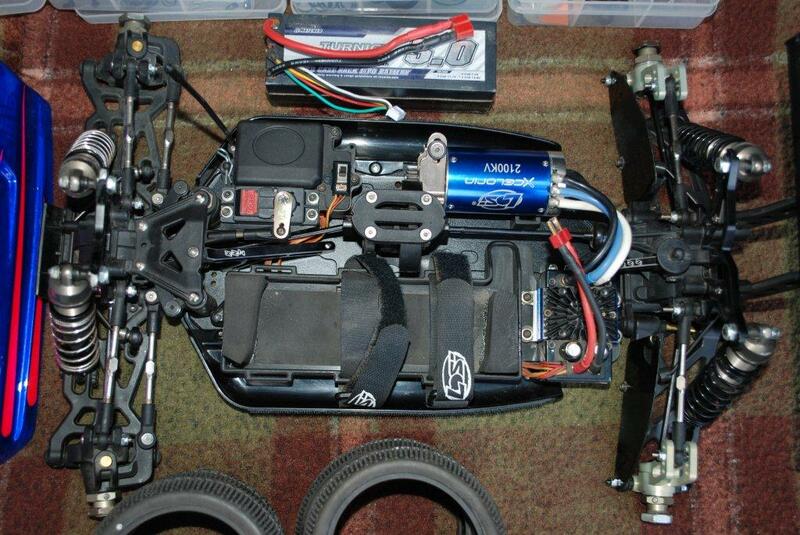 Comes with Losi ESC and 2100 KV motor plus 1 Turnigy 5000 4s Battery and a JR 9100 servo. This battery was new in July/August and has seen maybe 5 cycles. Balanced everytime it's charged. This buggy was originally purchased for my son who lost interest. Has hardly been used. New Chassis has seen NO use! Includes freshly painted top as well as one set of mounted, (used), wheels and tires as well as 8 inserts and 1 fresh set of Panther tires. I am not certain what compound but there's a silver dot on each tire. Comes with everything you see in the pictures. 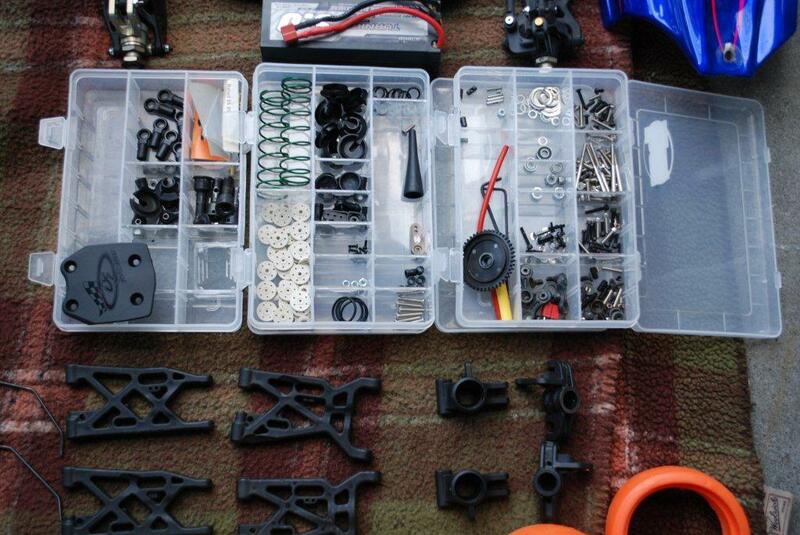 Original shock rebuild kit, bearing kit and hardware kit are the plastic boxes you see which will also be included. Text at 425 785 8328 for quickest response. All times are GMT -7. It is currently 12:59 AM.